My husband has a true appreciation for handmade items. So as I considered my knitting queue, I decided to make him a pair of fingerless hand warmers for the cool weather ahead. He has a wonderfully warm charcoal gray coat so I wanted yarn that would complement it. I found this hank at Nimblefingers, one of Houston’s local yarn stores. Heritage Quatro by Cascade Yarns. Fiber content: 75% Merino Superwash, 25% Nylon. Yield: 437 yards, 100 grams. 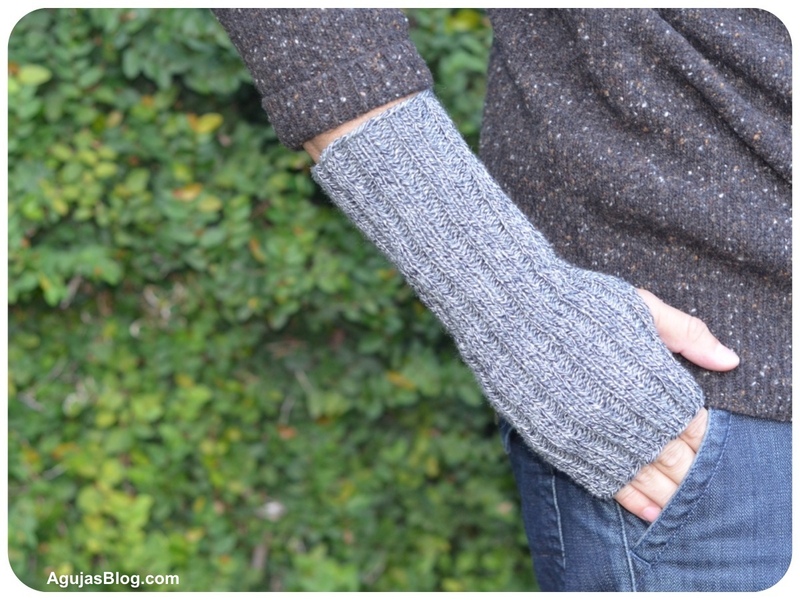 For the pattern, I went to The Purl Bee and fixed on their Ribbed Hand Warmers. It is a nice gender-neutral pattern. 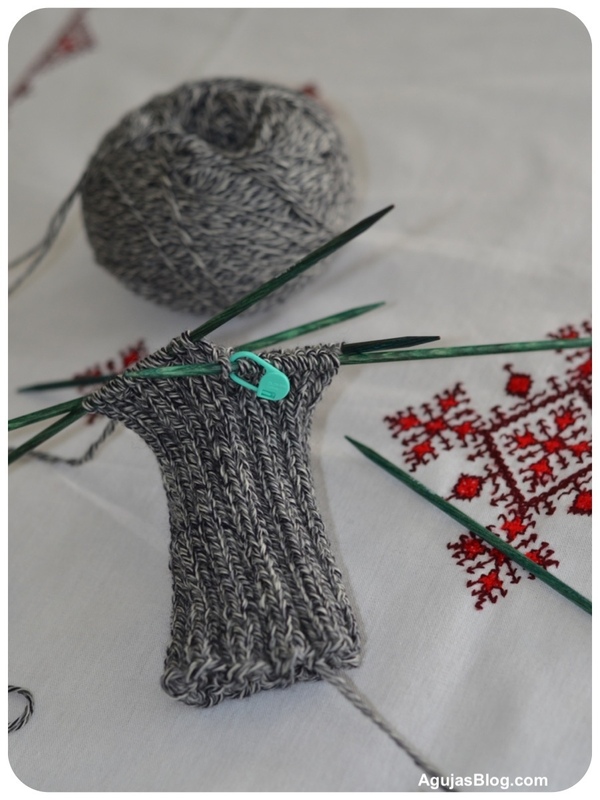 As I started knitting, I noticed that the swatch was too flimsy and it didn’t seem like it would keep his hands warm. So I unravelled my knitting and doubled up the yarn. Much better. Here is hand warmer #1 in progress. Once the first one was all done, the second one went quickly. I think he liked them. Very nice! I have been wanting to try my hand at knitting some Hand/Wrist Warmers. I was worried about the “second hand warmer syndrome” but it actually went quite fast with the second one. That’s exactly the challenge and why I don’t do socks. I made sure I started the second hand warmer right away so that my husband wouldn’t end up with one warm and one cold hand! I’ve heard a lot of good things about the Heritage Quatro; the colorway you chose is lovely. I got lucky. Feels good on the hands and keeps them warm. Looks great! 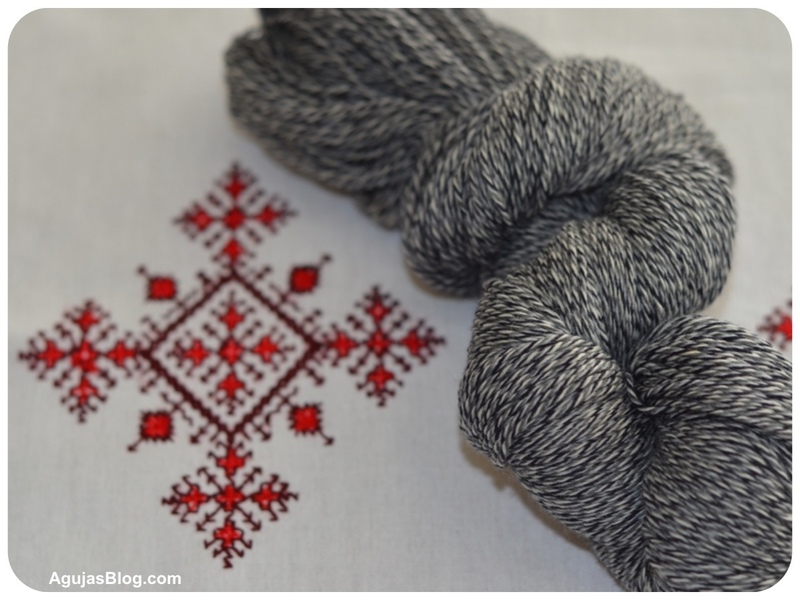 I may use my HiKoo SimpliWorsted in dark charcoal gray and make a pair!! They were easy. There’s one point in the pattern that’s a little confusing, right after you start the thumb hole. I read some of the reader comments and others had the same problem and that helped me figure it out. Purl Bee has great patterns. It’s easy to grow your queue looking at them! Thanks! The camera does the hard part. I did take these at different times so the lighting isn’t terribly consistent. The outside shot in particular shows the gloves in a lighter shade than they are. Great mitts and I love the color! You do have a birthday coming up, don’t you? 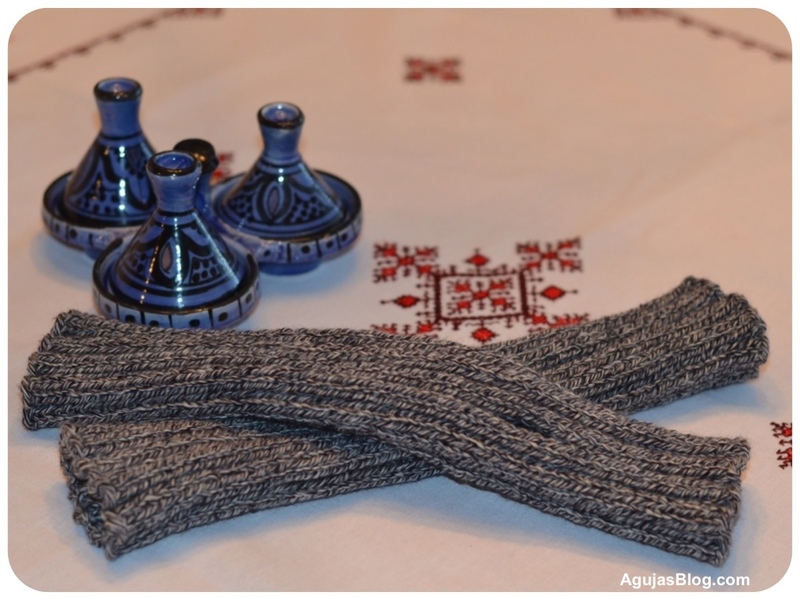 Lovely handwarmers and lovely yarn! May I ask you which dpns were you using? The pattern calls for US#3 double pointed needles but I used a size US#4. I didn’t want them to be too delicate since I was making them for a man but also didn’t want to go too far on the size. The #4 DPNs were just right. Great looking! and no gusset! 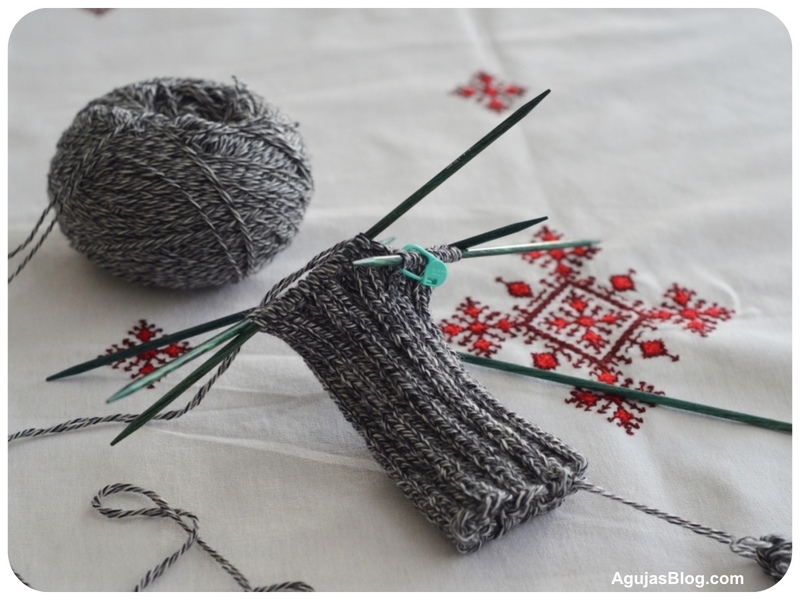 Thanks for posting this – I foresee some hand warmers under the tree this year… Last year I made some mitts and found that the Quattro was great held together with some Patons Classic Wool – rustic but classy, and really warm! I definitely like the no-frills pattern. Good idea of combining the Quattro with the wool. Q – Lovely! They’re the exact pattern I used to knit some for my husband last year. 😎 His are in a heavier, dark blue yarn so I didn’t have to double the yarn. Great minds!! Those are really nice. I need to buy some dpn’s to try. Love the color of that yarn. Looks yummy. Glad you liked them and the color worked out great. Using DPNs isn’t always fun but it’s nice not having a seam. The knitting goes fast once you get into a rhythm. Be sure to share pics! So cute! Ok, I think I’m gaining more and more confidence in knitting another pair of wrist warmers. I have yet to try on my dpns. I’m just so scared of them…. You just have to watch that you don’t drop stitches. They do sort of get in the way but it creates a nice seamless tube. They look great! I can see why he likes them.